Wandering Bear Coffee began in 2013, when Matt Bachmann and Ben Gordon showed up to a grad school classroom each carrying a mason jar of homemade cold brew coffee. Within months, they had rented a small kitchen in Queens, NY, working tirelessly (and over-caffeinated) to figure out how to scale their homebrew. More than five years later that passion remains, and Wandering Bear is on a mission to become a favorite part of your day, every day. Over the past few years there has been a tremendous amount of growth in the ready-to-drink cold brew coffee market. Scholle IPN’s flexible packaging solutions allow this low-acid product to be brewed cold and kept ambient throughout the supply chain. 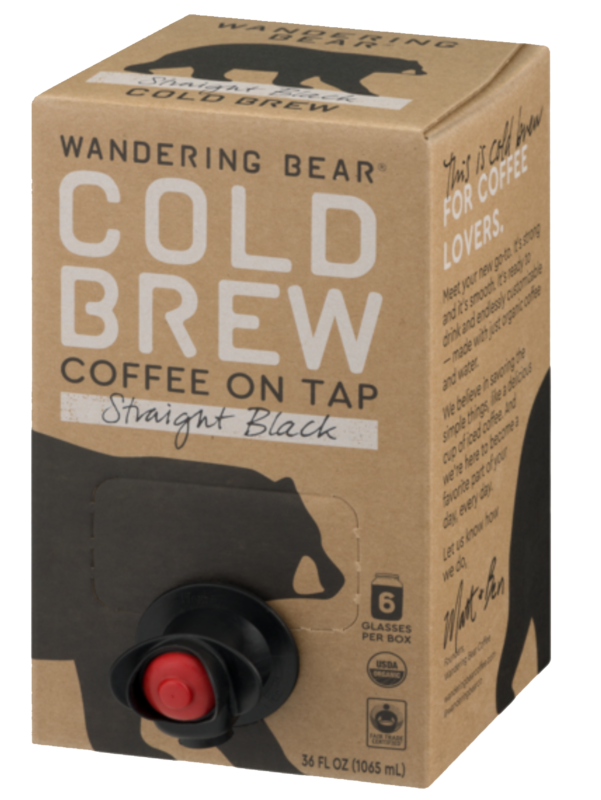 Wandering Bear, who is hot on the trend of cold brew, now have their products everywhere from high-end retail locations like Eataly, to high-value locations like Costco and Target. As they continue to scale their craft, they expand their market potential for retailers across the nation. Flexible packaging keeps your coffee products safe and fresh, preserving quality while extending secondary shelf life. For retail, quick-serve, or foodservice settings, our wide range of bag-in-box and pouch products dispense easily, improve efficiency, and reduce waste.